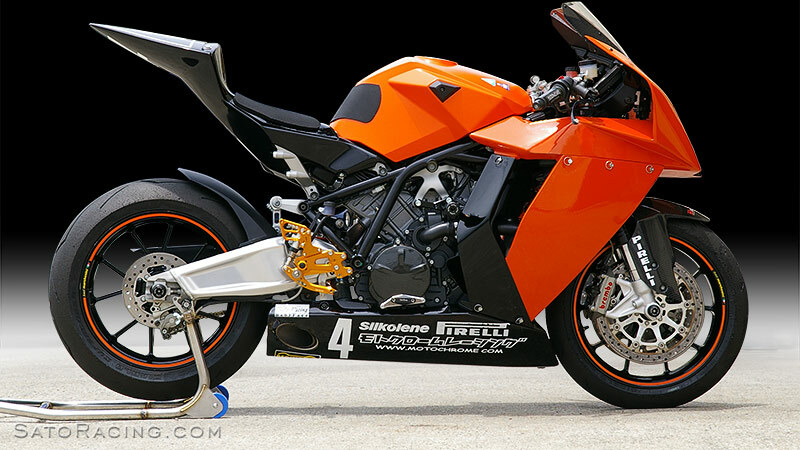 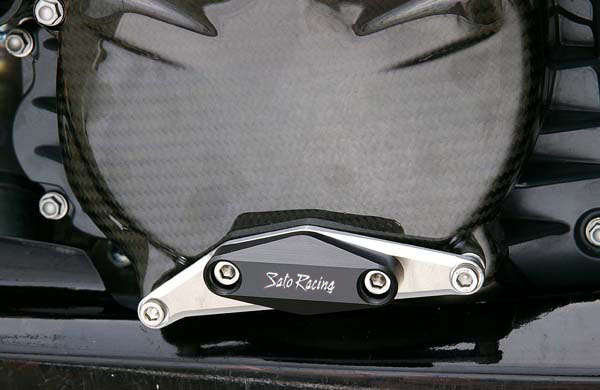 SATO RACING Right Engine Slider for 2008-12 KTM RC8/R utilizes a slider puck made of dense, abrasion-resistant DELRIN plastic for excallent protection of the R-side engine clutch cover area of the bike if you slide on the track. 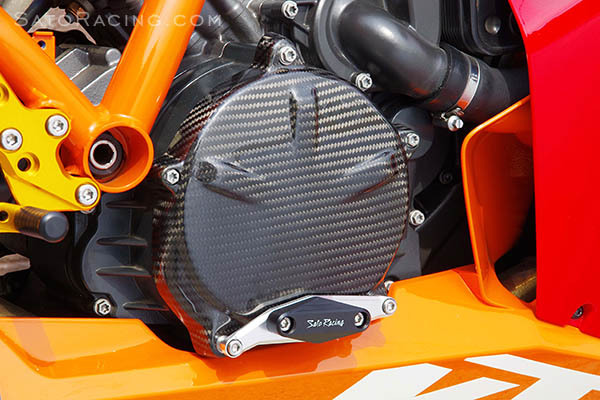 Slider is attached to the lower edge of the clutch case with anodized billet aluminum mounting bracket and spacers, and stainless steel bolts. 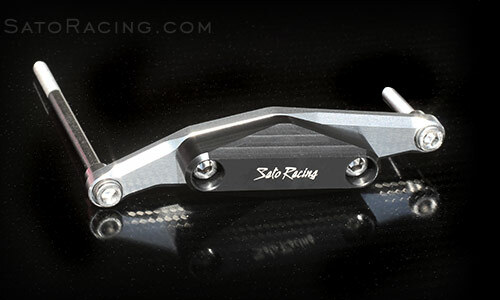 SATO RACING offers a full selection of Replacement Parts for our Sliders.